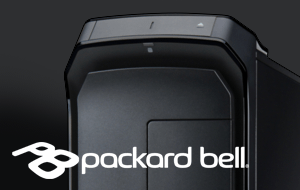 Tower PCs are the box that you plug your monitor, mouse and keyboard into. They are available in lots of different specifications, but to keep things simple, we've split them into two categories. Business, education and everyday PCs are designed for daily computing - that might mean typing up essays, creating presentations or browsing the internet. If you need a simple workstation or are looking for your first family PC, they are a great-value way to work, play and stay connected. Design and creative PCs are much more powerful and are capable of running specialist software for activities like photo editing, graphic design and music production. They feature powerful processors, more memory and other features tailored to high-performance computing. From typing up essays and researching projects to working through mountains of emails and spreadsheets, tower PCs are perfect for business, education and everyday computing. Finding the right one is easy if you think about what you want to do with it. Browsing the web, office work and typing up essays don't require a lot of processing power, but a faster PC will run smoothly and allow you to do more at once. 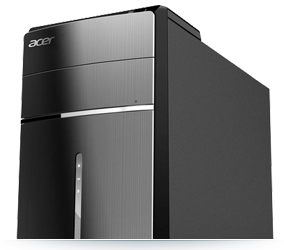 We have PCs ranging from great-value, simple workstations to more powerful setups that are ideal for running more demanding software such as databases and occasional photo editing. The processor powers your computer, and although everyday computing doesn't require a great deal of performance, a quicker processor is worth considering if your budget allows. Processors like the Intel® i3 and AMD A8 make your computer boot quicker, open software faster and allow you to do more at once, so are worth considering for regular users. When you ask your computer to do something, the request goes to the memory (or RAM), where the processor picks it up and makes it happen. More memory lets the processor take on more at once, so you can download, chat, browse, work and listen to music at the same time without worry. 6 GB is enough for everyday computing, but you should consider 8 GB or more if you find your current computer slows down a lot. The hard drive is where you save your documents, software, media and information. 500 GB is plenty for general use, while a 1 TB hard drive (twice the capacity of a 500 GB drive) is ideal if you plan on saving films, music and photos. Dedicated graphics let your PC produce images, videos and games with much more detail. They’re essential on gaming PCs but can also benefit your family PC by greatly improving the quality of videos. If you ever use your PC for streaming films, TV on demand or playing the occasional game, dedicated graphics give you more detail and a smoother performance throughout all your daily computing. Design and creative PCs are made to run demanding software, and can be used for graphic design, music production, photo and video editing, and much more. They have powerful processors, lots of RAM, performance oriented storage and, if you're looking to edit visual media, should have a dedicated graphics card. Choose a design and creative PC based on the software you're planning to use. The performance requirements between popular software such as Photoshop and Cubase can differ greatly, but it's easy to find the recommended hardware requirements online - you just need to make sure the PC you're considering matches or exceeds these specs. The processor is the first thing you should look out for when buying a performance PC, as most design and creative software suites require more power to run at their best. Software like Photoshop and Cubase are built to run on quad-core processors. Quad-core processing allows the computer to process four individual ‘threads' of information at once, so even the largest projects will open and run perfectly. Dedicated graphics improve the way your PC displays videos, images and games. If you’re going to be editing photos, a dedicated graphics card can provide more natural colours and greater detail for much more accurate results. Dedicated graphics are essential for video editing and design work, as most industry standard software won’t run properly without increased graphics performance. 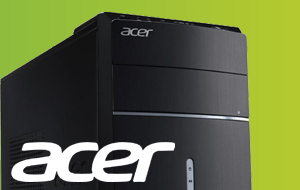 Look for PCs with NVIDIA GeForce GTX or AMD R9 graphics for vastly improved visual performance. RAM is crucial in a PC used primarily for creating and editing media. Anything less than 8 GB runs the risk of hanging/freezing when you open up plug-ins or ask it to render large files. Photo, video and music software in particular need more RAM as the files you're manipulating are usually large, with multiple layers, effects and plug-ins. Bear in mind RAM can be upgraded on many desktops, so you can always add more if you need it later. Along with making sure you've got enough storage space for installing software and saving projects (1 TB is plenty), it's worth considering additional solid-state storage for added performance. Solid-state drives (SSD) don't have any mechanical parts, run silently and deliver much faster read and write speeds than normal drives. They're great for installing your most used software, the PC's operating system, or plug-in files for instant loading and smooth operation. If you're using your PC for college, university or business, Microsoft Office is essential. From lifetime licences for students to yearly subscriptions for the whole family, there are different versions available to suit your needs. Staying safe online is equally important, especially if you have children. We have a large choice of anti-virus and internet security software to keep your PC protected, your little ones safe online, and your files and personal data secure. Whether you're simply using your PC as a simple workstation or need true-to-life colour representation for design, a great monitor setup can drastically improve the way you work. We have monitors in a wide range of sizes, with each one capable of delivering Full HD images. If you use your PC regularly, a dual-monitor setup is a great way to improve productivity. We recommend using two versions of the same monitor so that the image is exactly the same across both screens. Whether you're looking for an everyday PC or something with more power, refurbished tower PCs are worth considering for their value and performance. 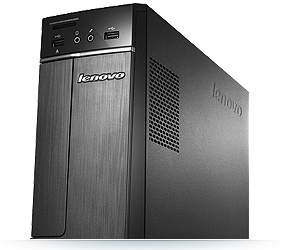 Refurbished PCs are available from all of our brands, including Lenovo and HP, and are available in a huge range of specifications. They come with the same one-year guarantee as a brand new computer, so you can buy and use with confidence. 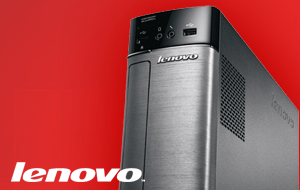 A great value PC that's ideal for browsing the web and occasional school and college work. 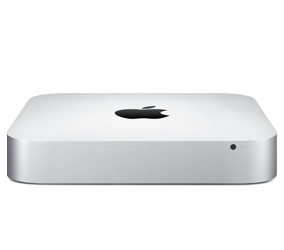 A small and compact PC that runs on Apple's exclusive OS X operating system - ideal for university. 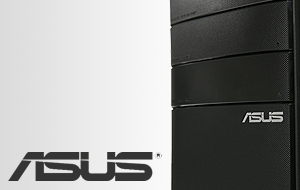 A seriously powerful PC that's capable of running design, media editing and music production software at its best.